Monaco is the second smallest country in the world. It is also called the motorist’s paradise. This is that time of the year when hotels in Monaco are booked an year in advance. If you are in Monaco for Formula 1 Grand Prix then the below tips can help you save some euros. Thou when you are in Monaco, you don’t think of saving money. It’s all about grandeur, luxury and getting the best in the world. Monaco is the second smallest country in world. So the best way to experience the tiny principality is by walking. Everything is nearby, so one can walk and save on taxi charges. 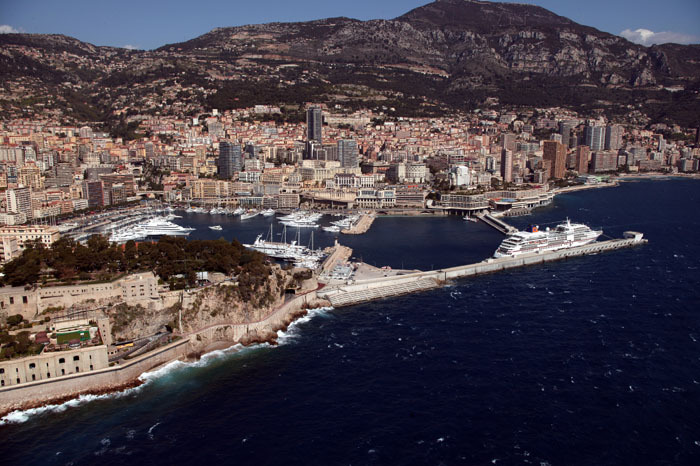 If for any reason one does not prefer to walk then you can get your daily bus pass and travel around Monaco. The full day bus pass will cost you 5 Euro. Monaco is famous for 300 days of sunshine. To save on hotel tariff go in the off-season i.e winter season in India. Unlike other European countries it does not snow in Monaco. The Fontvieille Shopping Center is a shopping center where you can find Carrefour supermarket and McDonald’s. Wander around the streets of the Old Town. All the attractions are free except the inside visit of the Palace. Walk around the Formula 1 Grand Prix circuit. Check out the luxury cars in front of the Casino and the Hotel de Paris on Casino square, explore the lush casino gardens and wander through the marble alleyways of the Metropole shopping center. Lie on the beach at Larvotto and have a swim in the clear blue waters. It is just 10 minutes walk from the Casino and just behind the Grimaldi Forum. Have a pleasant stroll through the authentic Japanese garden, located between the Casino and the Grimaldi Forum. On the opposite side of town, wander along the second port of Monaco that of Fontvieille, built on reclaimed land in the 1960’s, which has fair share of yachts as well as a lovely view of the Cathedral and the Oceanographic Museum. Hey Akshansha, Just cool trips abour Monaco.Keeping in mind you do PR and Marketing for Kenya and Moncao, I would surely like to add myself to see this place for my articles on Lonely Planet. surely.. keep in touch..Monaco is a must visit destination.. The Sakura cherry blossoms are out in the Japanese garden of Monaco, I see this as a great way to salute his memory?